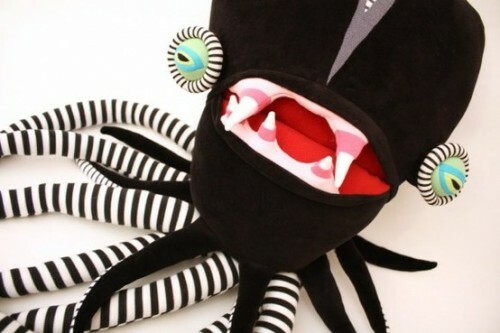 Gertrudal Big Cotton Monster, ONE-OF-A-KIND pieces of art is just one cuddly creature of a whole collection, brilliantly designed and handmade by Jennifer Strunge. 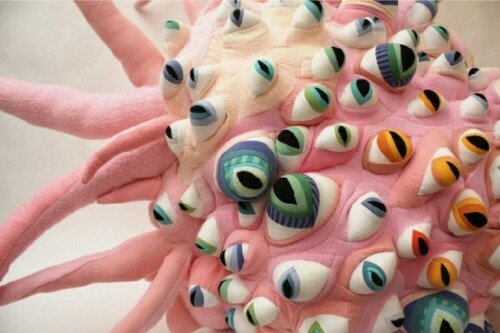 The best part is that these little toy creatures are constructed of recycled clothes, blankets and sheets, items that would otherwise be destined to the landfill. Jennifer markets her monsters at CottonMonsters on Etsy and they truly are irresistible. I’m deciding which one looks most like my grandson… strangely they all have a strong family resemblance. Gertrudal reminds me of one of my older sisters…. OMG, did I actually write that??? 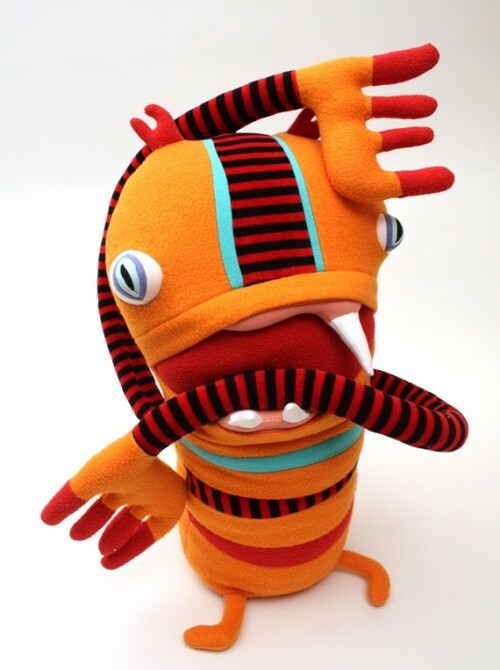 Jennifer has done remarkably well with over 856 sales of these adorable creatures …. and remember that each one of them is one of a kind. Some of the following pictures are of her past creations but hurry and visit her store as obviously they fly off the shelves! 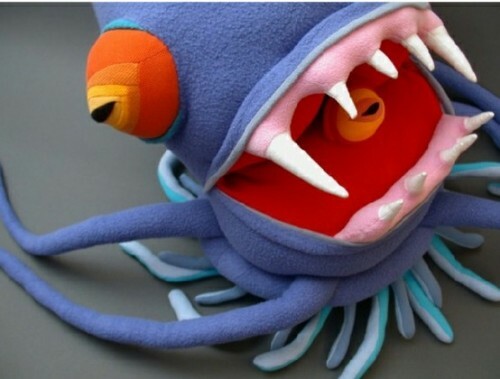 Cotton Monster...Reminds me of an old boyfriend...eek! Reminds me of my grade 3 teacher! Cotton Monster...everyone should have one! 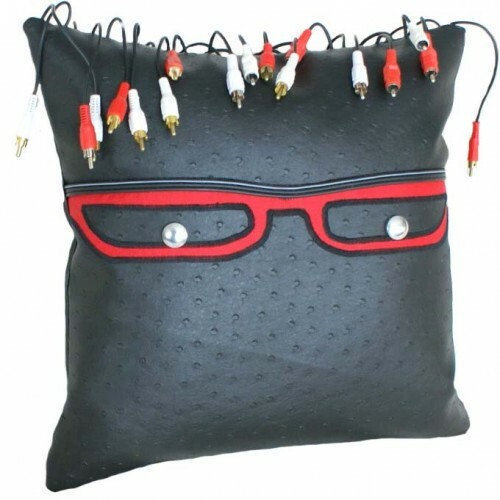 Geek Pillow with Video Dreadlocks and Serious ATTITUDE! 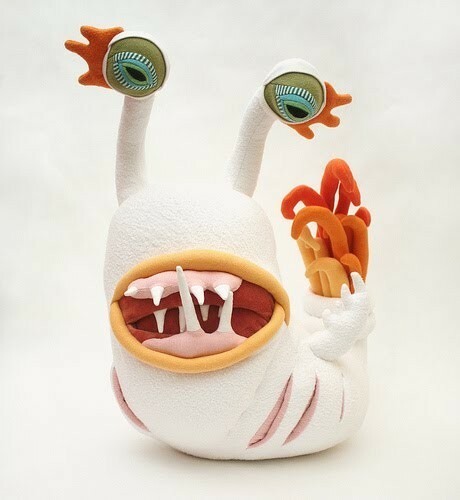 Now can I say that the Cotton Monsters are super-cool?! ha ha … Geek is soooo happy! He’s grinning from ear to ear. Thanks so much Kelly… that takes a lot of pressure of of me!!! Oh my! I REALLY like them!